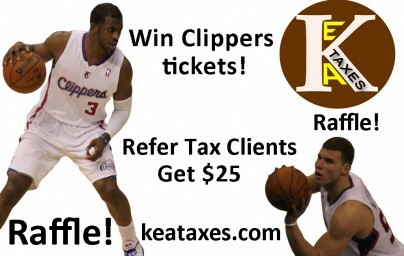 Win a pair of Clipper tickets and other prizes! Refer a new tax client and get $25 and a raffle entry. The new client gets an entry as well. All our existing clients get one entry upon request. Our Enrolled Agents can assist in handling audits, communication with the IRS and Tax Resolution. Our clients must know that we will be right next to them in case the IRS decides to audit. 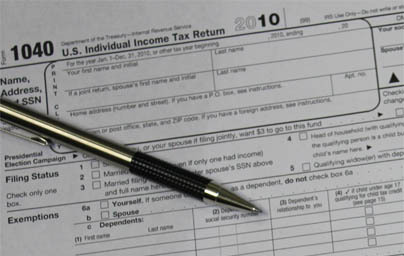 This covers preparation and filing of form 1040 and all supporting schedules. 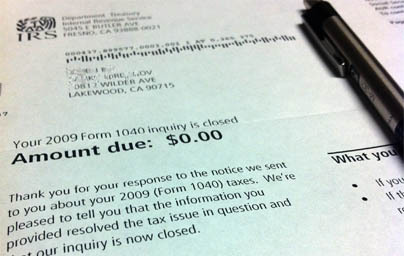 You are encouraged to bring your last year’s tax return as well, which we can review for free. Very few tax companies offer to go to your home or office. We do just that. If you prefer or are unable to drive due to injury or illness, we can come and conduct the interview and prepare the tax return at your home or office. We offer a broad variety of income tax related services. Tax preparation for individuals and businesses (Sole Proprietorships, LLC’s, Corporations) and we also specialize in trusts and estates. If you get in trouble with the IRS or your State Agency, we are here to help with tax resolution and representation services as well. 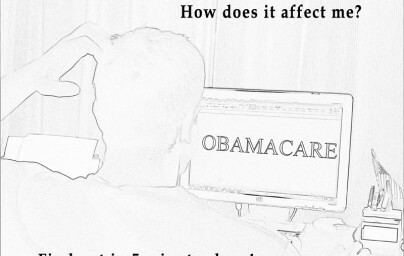 Obamacare – The experts agree on one thing – the rules are very complicated and they affect people differently based on family size, how much money one makes and if health insurance is offered through work. The goal of this article is to make it understandable and show how it applies in your situation. 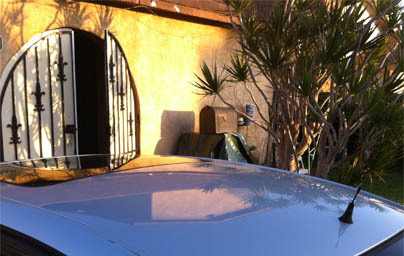 We are located in the Los Angeles area but we happy to serve our many clients across the US. Here are some of the cities in our direct vicinity: Lakewood, Cerritos, Cypress, Los Alamitos, Long Beach, Seal Beach, Norwalk, Bellflower, La Palma, and many more. Regardless of how far you are, we are always available are ready to help.